To date, one of my favorite pens has been the Sharpie Pen. 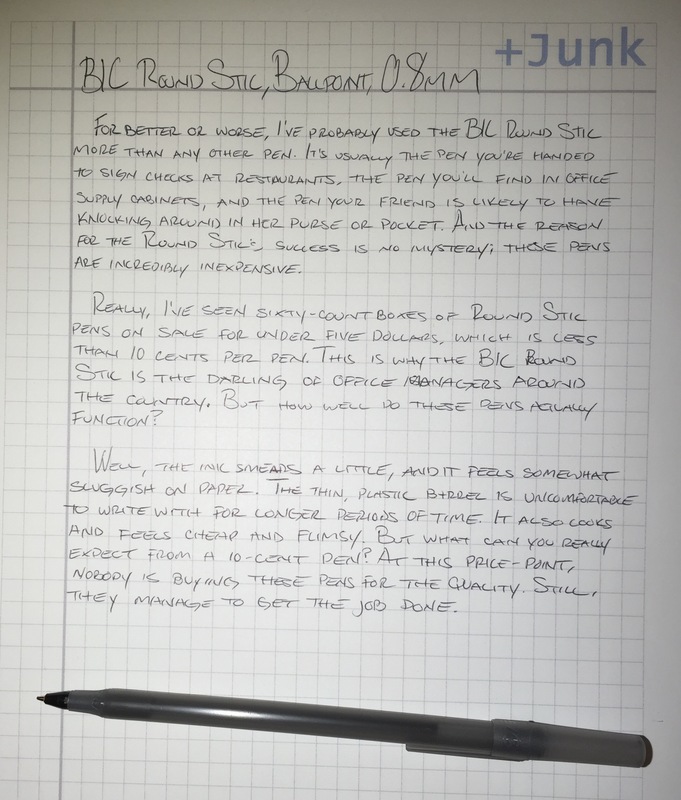 It’s relatively inexpensive, comfortable to write with, and it has a porous point tip that delivers crisp, clear lines. 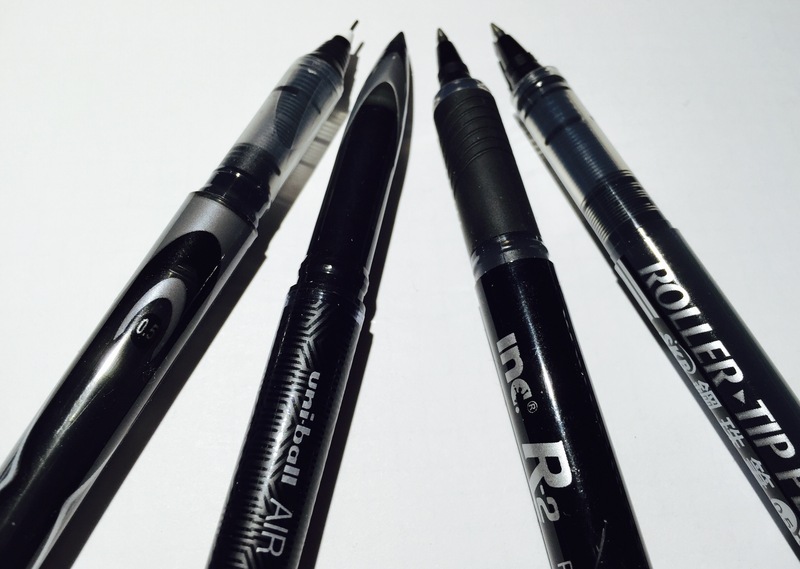 Every other porous point pen has had to measure up to the Sharpie Pen, and many, like the Sakura Pigma Micron and the Staedtler Triplus Fineliner, have come very close. But for one reason or another, I always go back to the Sharpie Pen. And then there was the BIC Intensity. It’s not that the BIC Intensity is much different from the sharpie Pen. In fact, it’s very similar in most ways. 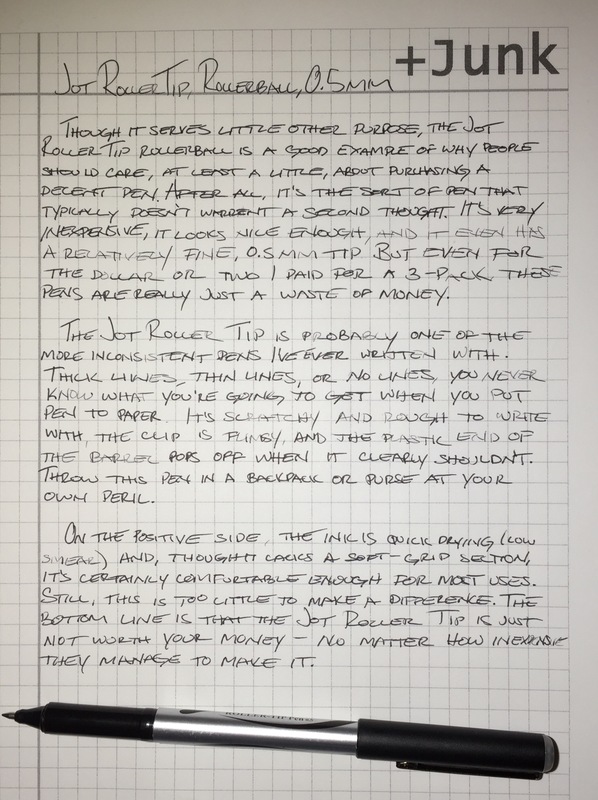 The length and thickness are about the same, they are both fully disposable, and they both contain a nice-quality ink (perhaps the Sharpie Pen’s ink is even a bit darker). But the Intensity edges out the Sharpie Pen for one reason; it has a more durable build. Holding the two pens together, it’s easy to see and feel. 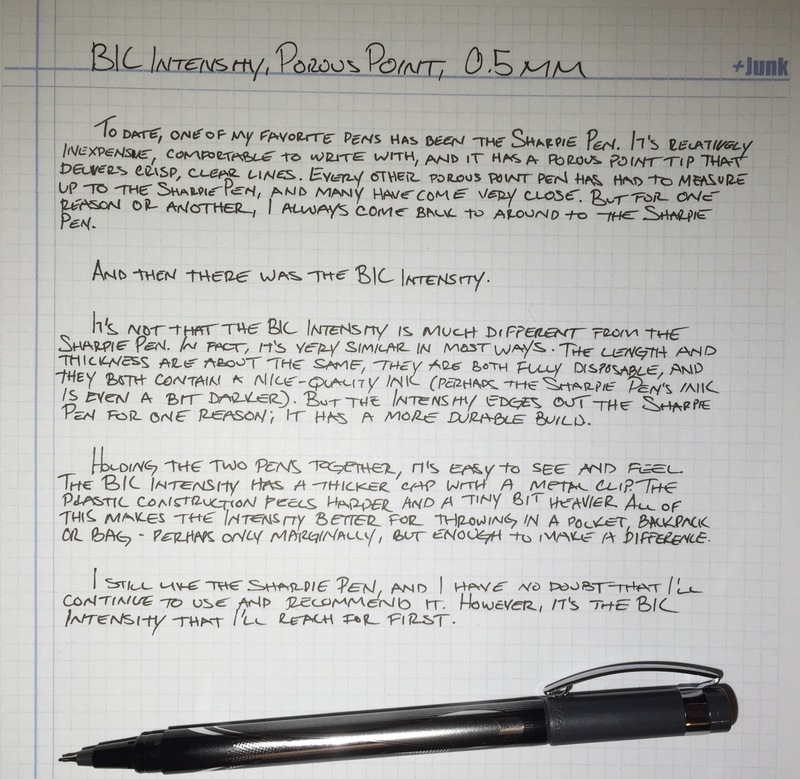 The BIC Intensity has a thicker cap with a metal clip. The plastic construction seems harder, and it feels ever-so-slightly heavier. All of this makes the Intensity better for throwing in a pocket, backpack, or bag – perhaps only slightly, but enough to make a noticeable difference. 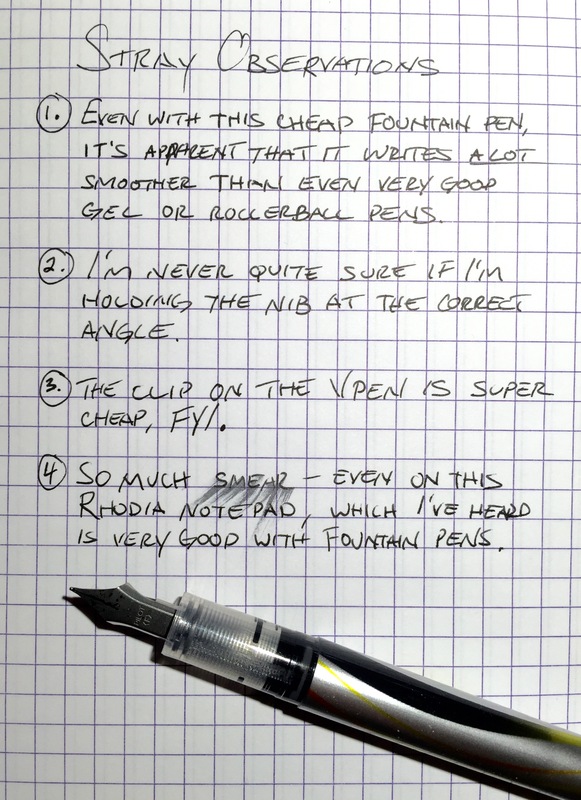 I still like the Sharpie Pen, and I have no doubt that I’ll continue to use and recommend it. However, it’s the BIC Intensity that I’ll reach for first. Rhonda Eudaly’s review points out that the porous tip will break down over time. Though, that’s true for all of these porous point pens. A review at Well Appointed Desk shows off some of the colors. 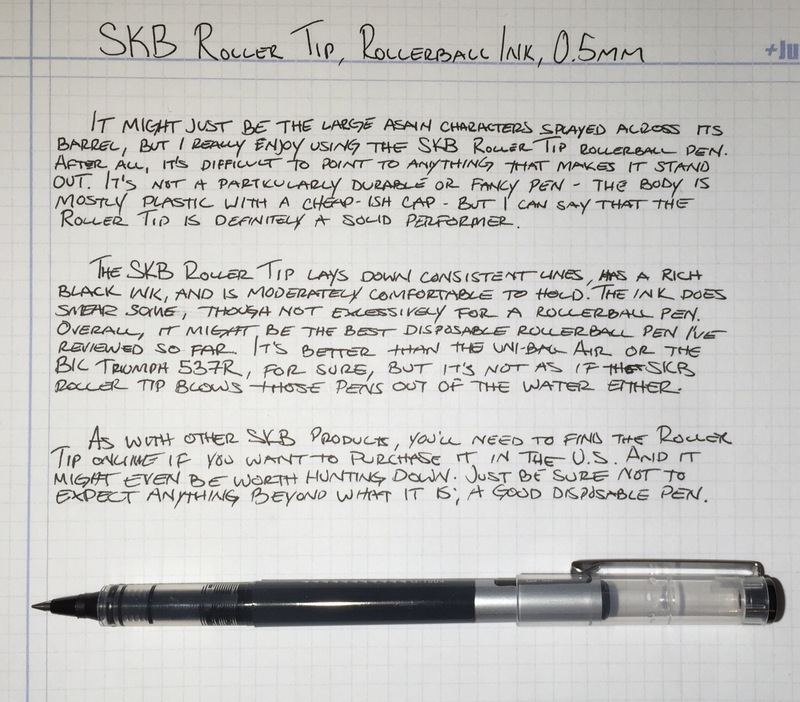 Also, she has a paragraph at the end about why you might choose the Intensity over the Sakura Pigma Micron or Sharpie Pen, but overall she says the performance is very comparable.